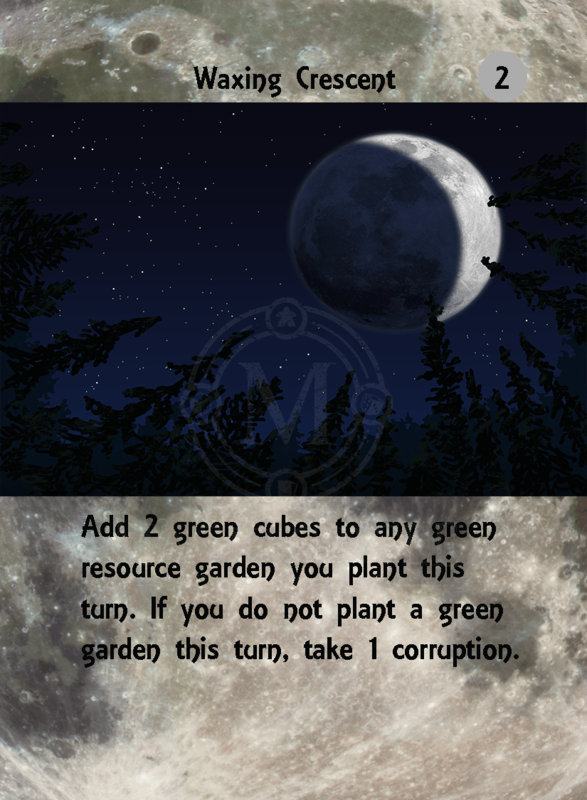 Today’s picture for the countdown to GenCon art dump is a prototype card for the Moon Deck expansion to Cauldron: Bubble and Boil. It is a little rough to be sure. This is not the final layout. If you come to the First Exposure Hall you will be able to see the first two expansions of the game in addition to the main game. ← Visit us at the First Exposure Hall while at GenCon 2016!